Double-hung or Single-hung? Double-pane or single-pane? What about a custom window? Or a casement window? If you’re considering upgrading your windows, you may be overwhelmed by the number of options available. Today’s windows come in all shapes and sizes, as well as a number of unique and convenient features. Overwhelmed? Don’t worry — Nu Look Home Design is here to help. Here is a comprehensive guide to window replacement options to help you pick windows that complement your home and boost your property’s curb appeal. Most houses feature double-hung or single-hung windows — the classic rectangle shape you see on most homes. The panes slide up and down vertically. It’s a clean, classic look that goes with just about any architectural style. Double-hung and single-hung windows share similar characteristics in that they both feature an upper and lower sash, which is the portion of the window that contains the glass. This part of the window may also contain dividers — known as muntins — that separate the panes. In most modern windows, the muntins are decorative rather than functional, as most modern windows are made of a single large pane rather than smaller sections. Muntins, which are sometimes referred to as “window grids,” can be configured in a number of designs, including the well-known colonial style, the prairie style often seen on more modern homes, and the Arts and Crafts grid that divides the window into equally divided panes on top and a single larger pane on the bottom. Some homeowners also use muntins to create a Victorian stained glass look without the expense of real stained glass. You can see a variety of muntin styles by browsing our window gallery. Regardless of which muntin design you choose, however, you’ll need to decide between double-hung and single-hung windows. From the street, double-hung and single-hung windows appear the same. So what’s the difference? Really, double-hung windows are about ease of maintenance. They also offer better energy savings, and they can be safer for families with pets or young kids. Easier to Clean – This is especially true of double-hung windows that feature tilting sashes. Homeowners can slide the upper sash down, unlatch it and tilt in inward, allowing them to clean both the inside and the outside of the window without setting foot outside. With a single-hung window, you can’t clean the outdoors portion of the upper sash without going outside. For windows on upper floors, this means getting a ladder or hiring a window cleaning service. Better Airflow – A double-hung window also allows you to open the upper sash rather than the lower sash, which creates better airflow and natural convection. Some argue that single-hung windows are slightly more efficient than double-hung windows because they are permanently fixed in place. However, modern seals are much better than seals on older windows, so any difference is really negligible. Safety – If you have small children or pets, a double-hung window is usually a safer bet, as you can lower the upper sash rather than lifting the bottom sash and creating a potential safety hazard. When it comes to home window cost, double-hung windows generally cost more than single-hung windows. However, the overall energy savings generally makes double-hung windows just as cost-effective as single-hung windows. And you definitely can’t beat the convenience when it comes to keeping your home’s window clean and sparkling with minimal effort. Remodeling magazine also gives a great general overview of the average window replacement cost each year. For 2017, the national average cost to replace vinyl windows is $15,282. This price represents replacing 10 existing 3-by-5 foot double-hung windows. Obviously, costs vary depending on the number of windows being replaced and the type of windows you choose. The average window replacement cost for the Middle Atlantic region is the same as the national average in 2017. Of course, double-hung and single-hung windows aren’t the only game in town. Depending on your preferences, as well as the style of your existing windows, you can also choose from other window replacement options. Casement windows feature a hinge on the right or left side of the window, and they operate by crank. The entire pane opens outward when the window is opened. Awning windows are similar to a casement window in that they crank outward via a hinge. However, with an awning window, the hinge is placed at the top of the window, which creates an awning look when the window is open. These windows are often positioned alongside a larger stationary window as a means of allowing airflow into a home. As the name implies, a picture window is generally much larger than an average window. These windows are designed to take advantage of a favorable view. Picture windows are also stationary, so you should only choose one if you’re certain you will never want to open it. Narrow in design, transom windows are typically placed above a door or sometimes another window as a way of letting in air or light. They are generally seen more often in historical properties, such as Victorian homes. Rather than sliding vertically like a double-hung or single-hung window, a slider window operates by sliding horizontally and overlapping the pane next to it. 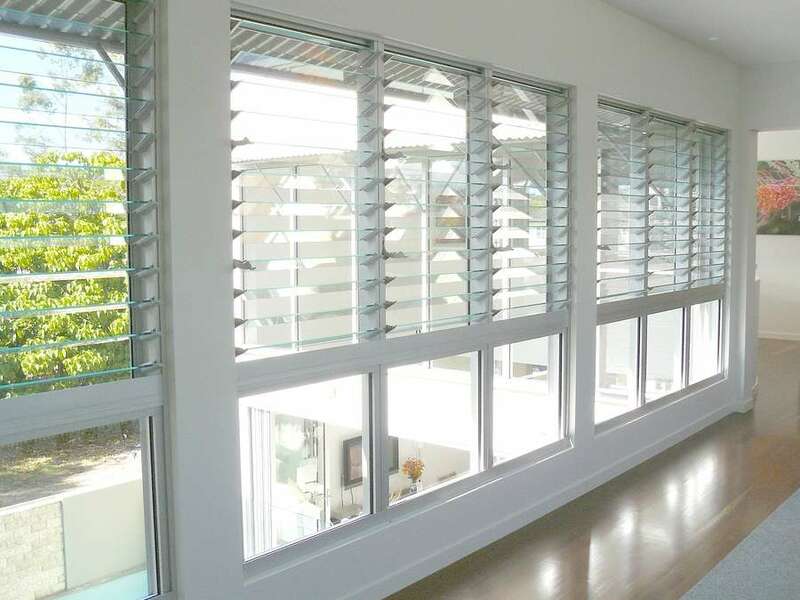 Slider windows have become something of a common feature in modern homes. Want to extend your home’s interior to the outside? A bay window could be the perfect way to do it. Bay windows protrude from a home’s exterior, giving you more space and an appealing architectural feature. You might also hear bay windows referred to as bow windows. Does your home boast an architectural feature you’d like to showcase? A custom window can make the most of a stunning detail, such as an interesting corner, porch or impressive height. As the name suggests, custom windows can be shaped to suit your specific needs. Most homeowners who purchase custom windows only place them in one or two areas of their home, however, some modern properties feature nearly all custom windows. Keep in mind, though, that your overall home window cost will be significantly higher if you choose custom windows rather than a more traditional design. When it comes to window replacement options, you’ll also need to choose between double-pane and single-pane windows. As you might expect, a double-pane window features two layers of glass (with a pocket of air between them), whereas a single-pane window has just one. Some manufacturers also offer triple-pane windows; however, these really don’t offer any advantage you can’t already get from a double-pane window. While double-pane and single-pane windows look about the same from the street, there are important differences to keep in mind. Most homeowners already know that single-pane windows are less expensive than double-pane windows. Over time, however, you’ll find that double-pane windows save you a great deal on home cooling and heating and costs. What many homeowners don’t know is that glass is a poor insulator. A single-pane window will stop the wind from roaring through your home, but you will lose a lot of energy regardless. As Steve Poitz, an engineer and a member of the Canadian Window Standards Subcommittee, explained to Home Advisor, a double-pane window can reduce energy usage by up to 24 percent in the winter and up to 18 percent in the summer compared to single-pane windows. In short, you might pay a little bit more up front for double-pane windows, but you will save significantly on your heating and cooling bills over time. It’s also nice to know you’re reducing your environmental footprint by using less resources to heat and cool your home. For homeowners in the Mid-Atlantic region, where temperatures can plunge well below freezing in the winter, single-pane windows are almost always a poor choice. They may be sufficient for homes located in mild, static climates, but these areas are few and far between. For most homeowners in the United States, double-pane windows more than make up for the extra cost over time. You may love your neighbors, but chances are you don’t love their late-night summer barbeques, their barking dog, or their Fourth of July fireworks celebrations. If noise is an issue in your neighborhood, double-pane windows are a must. This is an especially important consideration for shift workers, parents and other people who need peace and quiet during the day. An extra layer of glass can make a big difference when it comes to muffling noise. If you’re worried about noise pollution, you’ll probably be much happier with double-pane rather than single-pane windows. Unlike single-pane windows, double-pane windows typically resist condensation. Because double-pane windows keep the air on the inside warmer, condensation is much less likely to build up on the inside of the window. With a single-pane window, however, it’s much more difficult to keep the interior temperature warm. This can cause condensation to form inside, which then drips down the window and creates the potential for harmful mold and mildew. Finally, it’s important to consider window materials. You can get just about any type of window style in one of the three main window materials: wood, vinyl and aluminum. While each material has its strengths, vinyl windows have become increasing popular with homeowners over the years because they offer an ideal combination of durability, beauty and affordability. Wood Windows – Traditionally, window casings were constructed of wood, and you can, of course, still buy wood windows. However, wood windows require regular maintenance. In climates that see extreme temperature swings, wood is also prone to shrinking and warping, which can result in a poor fit that lets in drafts and raises energy bills. Aluminum Windows – Aluminum windows are also an option. Because they are lightweight, they are often seen in modern homes that feature large picture windows. However, aluminum conducts heat away from a home, which means aluminum windows are not as energy-efficient as vinyl. Vinyl Windows – If you own an historical property, or you just like the look of wood, the good news is you can still get the look and the savings you’re after with vinyl. Today’s vinyl windows can be manufactured to mimic the look of wood while still offering the durability, affordability and energy savings of vinyl. As you can see, there are many options when it comes to choosing replacement windows for your home. This is why it’s important to work with an experienced window replacement company that offers a solid warranty and professional installation. Replacing your home’s windows is a big project. Learn how you can save 50% off all materials when you work with Nu Look Home Design. Our window replacement experts will explain your options and help you choose the best windows for your property. Call us today at (800) 279-5300.